A quick search on the Internet confirms my suspicions, that I am not the first nor will I be the last person to pine for a delicate, just-sweet-enough confection created by the hands of a Japanese baker. My family and I have recently relocated to the U.S. after spending several years in Japan. 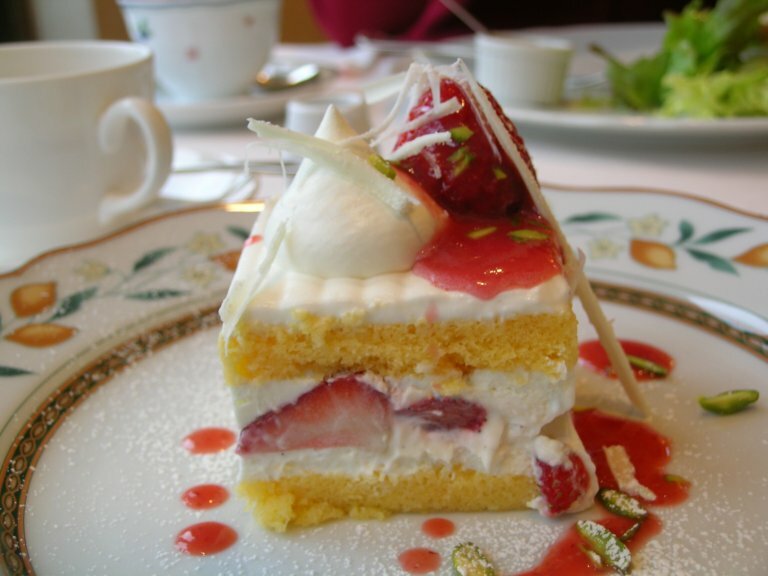 There are many things I miss about our time abroad but one of the most prominent are the aforementioned light and airy desserts to be found in Japanese patisseries. 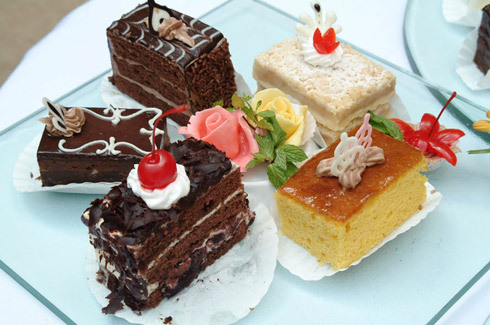 I tell you, after you have indulged in cream puffs, mocha flavored custards and the tiniest sliver of raspberry cheesecake, the super-sweet and heavy delicacies found in American bakeries seem mildly offensive. The difference, in my opinion between Japanese and American pastries is portion size, amount of sugar used and some technical cooking technique that creates an almost otherworldly lightness to crusts, pastry and creams. I don’t mean to gush but these treats are sooo good. My husband and I were almost ritualistic about going to our favorite bakery. After two weeks of healthy eating, we would ‘reward’ ourselves with a visit to the Japanese bakery. We would be excited like little kids on Christmas morning. First we’d make sure we had at least five thousand Yen which was approximately fifty American dollars. And then we would go to the bakery. We were always slightly amused heading into the door because we were sure the Japanese inside made jokes about the gluttonous Americans who always left with several packages filled with desserts. Keep in mind that approximately three of these desserts equals, say, one large slice of apple pie in calories, fat and sugar. The pastries were carefully wrapped in tissue paper and placed in beautiful little boxes and wrapped exquisitely with ribbon. My husband would drive home nervously glancing at the boxes on my lap: “Don’t drop them, honey!”, he would say, as if we were bringing home a newborn from the hospital. (This is ALL true by the way.) Finally we would arrive home and he would take all of the desserts and lay them out on the table and very briefly we would admire the delicate beauty of each dessert, ruminate on how good it was all going to taste…and then we dived in. And no, we did not light candles or listen to Chopin but it was as close to a gourmet religious experience as we have ever been. And those days are missed. Fortunately, we live in an area where there are a few Japanese bakeries about an hour away. We have not made the trek yet but when we do, I will be sure to post. ← Chick Lit, Spies, Bodice Ripper, Oh My! I troll ( in the traditional meaning) the ‘net every week or so finding inspiring blogs and sites to hold in reserve. They make me happy when I need them. I have been searching for ‘ beautiful Japanese Pastry ‘ today and I am thrilled to find your lovely pic’s. If a link to the featured patisseries’ sites could be added, that would be great! They all have at least one airy,light confection similar to the understated sweetness of high end Japanese pastry arts. If you’re ever in Chicago, run, do not walk, to Mitsuwa, a large Japanese grocery store (and bakery) in Arlington Heights. It’s not far from O’Hare Airport and I think all Japanese people within an enormous radius are required to go there once a week. 🙂 They also have a tremendous food court and other locations as well, http://www.mitsuwa.com/tenpo/eindex.html, seven in southern California and on in New Jersey. My favorite Japanese “sweet” is about anything with bean paste in it. 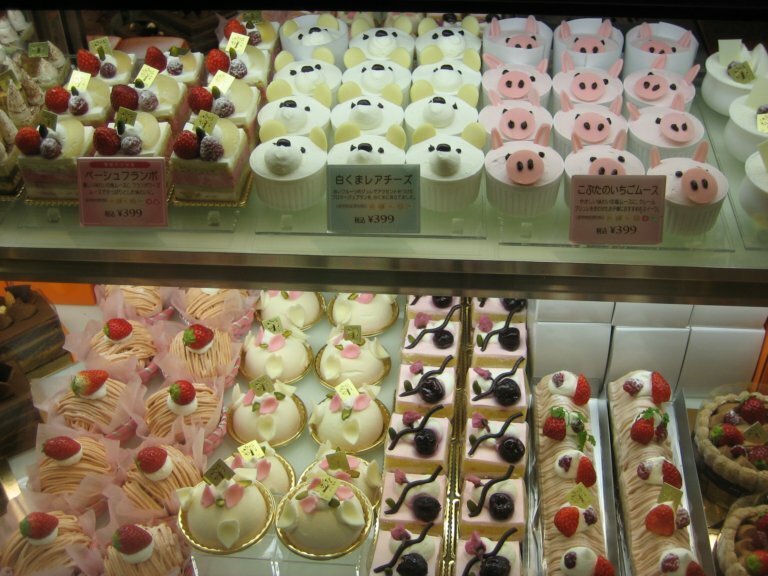 Our younger daughter and I were in London some years ago and found an amazing Japanese bakery on our way to Harrod’s. My daughter’s Japanese teacher has gifted us with some flown in directly from Japan when she or she and her husband have been there and come directly back. Ecstasy!! I’m a little surprised that Carlos’ Bakery wasn’t that good. I also watch the show, but just to see the different techniques they use…he’s annoying to me, all the yelling and drama and what not. I recommend Ace of Cakes on Food Network. I think they actually make better cakes ( and no family drama). I’ve never had a Japanese pastry and now really want to try one. My husband and I still watch and enjoy the show. Maybe it’s the cakes that are awesome.lol. I will have to look for Ace of Cakes. Thanks. yea Ace of Cakes does the same thing, but better. Duff Goldman, the owner of bakery loves to put LED lights in the cake, and make them move. He has also put fireworks in some of his cakes in the past. His motto is Make it bigger, “Make it badder, Make it awesome.” They recently just added the show to on demand for comcast . I want to do exactly what they do lol. Now I’m in the mood for a snack! I have often thought that following a Japanese patisserie around would make for a better reality tv show than, say…The Cake Boss, which is a show I love. I’m probably going to blog about this but my husband and I paid a trip to Carlos’ Bakery after watching the show religiously in Japan. I have to say, we were a little let down by the treats we sampled. We didn’t purchase a cake like the ones featured on the show but they have an array of biscotti, puffs, canolli, pies, etc. I wasn’t impressed at all, sad to say. Everything was much too heavy and sweet – perhaps my taste buds are warped after being in Japan. I can allow for that, I suppose. My husband, however wants to make a second trip to make sure he definitely did not like their desserts. lol. Those look beautemous as well as tasty! Yes! They are as gorgeous as they are delish. It is almost a crime to take a bite.